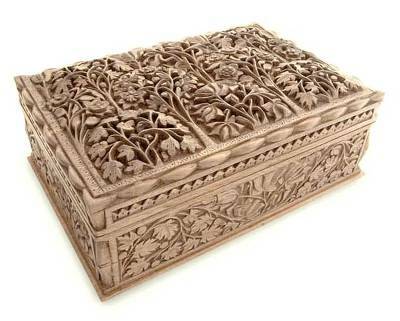 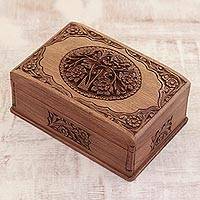 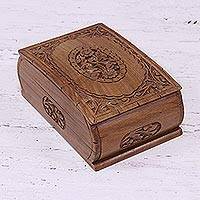 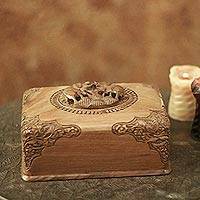 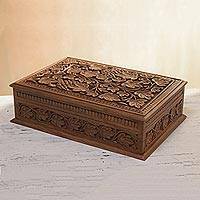 Hide your jeweled treasures within this walnut wood box of carved flowers protected by a velvet lining. 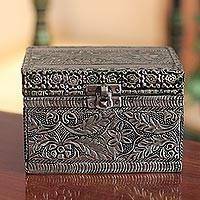 Crafted by M. Ayub from India, the box has two interior compartments for jewelry or any little treasures. 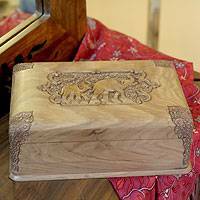 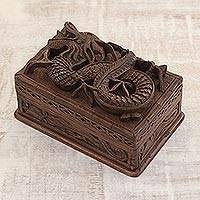 This exquisite, handcrafted box is the right size to fit on any table or dresser. 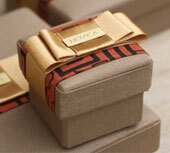 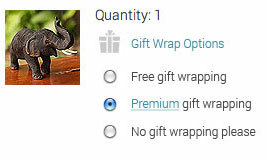 The magic lock will secure your precious jewels. 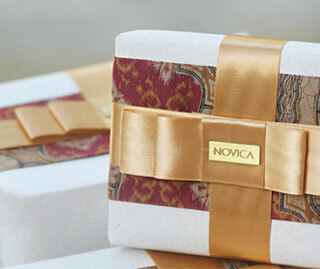 The unique, floral design makes your own treasure an enchanting one.